HPD pupils have now completed the Design Assignment task. This commands 50% of the overall course award. We found this year's tasks, to devise solutions for people affected by natural disasters like earthquakes and floods, to be challenging and thought provoking. Everybody had to think outside their comfort zones. The work shown here simply illustrates our pupils take on the briefs issued by the SQA and most pupils opted for Task 1, the need for a 'transportation device' to allow transit for bags of grain and/or jerry cans of water. 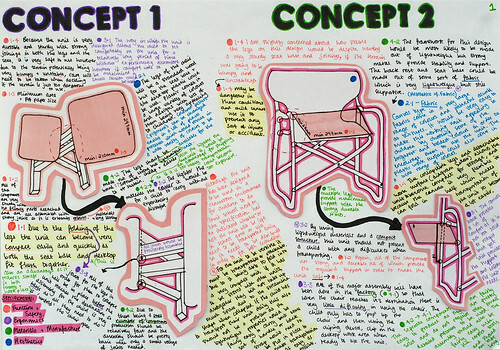 Two pupils opted for Task 3 which was to create a teaching and learning solution in the form of a chair that would allow displaced youngsters between the ages of 5 and 8 the chance to be educated in a chair with a built in writing surface. 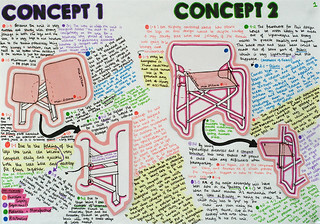 Low-tech but all modern day designers usually tackle the 'chair challenge' at some point in their career.